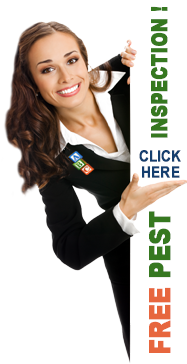 Lawn Pest Management | ABC Pest Control Inc.
ABC Tropical Plant Nursery, Inc.
ABC’s most popular Residential service is our Green Landscape Service! This service combines both your Turf and Ornamental plants into one program! By being on your property monthly, ABC can monitor both your lawn and ornamental plants each visit. This enables ABC to find any problems and treat them quickly before damage occurs. Turfgrass, ornamental pests and fungal problems move very quickly in the landscape. ABC will monitor and treat your landscape for insects and foliar disease problems on each visit. ABC treats for mole crickets, chinch bugs, army and sod webworms, fire ants, grubs, ornamental scale insects, and foliar fungus control with this service. ABC’s Green Landscape Service is also an environmentally friendly service. With increasing regulations and Black-Out periods on fertilizers, lawns and plants suffer from the lack of nutrients you are allowed to apply. This is why ABC has switched to Bio-Based Environmentally Friendly fertilizers to create a healthy environment for your lawn and plants to grow in; instead of just masking problems with common synthetic fertilizers. While synthetic fertilizers do provide a quick green-up, they tend to fade quickly leaving nothing behind to nurture your plants or soil. ABC’s Green Landscape Service offers our customers a natural alternative to synthetic fertilizers by combining Humic Acid, Fulvic acid, and Sea Kelp to feed the Soil naturally. This process helps to create an environment that allows your plants to utilize existing nutrients found in the soil more efficiently. ABC’s organic fertilizers can naturally balance soil pH, reduce plant stresses caused by hardpan soils, increase soil microbial activity, and add up to an inch of topsoil per year. If you have ever seen a new lawn installed, you may have noticed the thick black layer on the bottom. This organic layer only lasts about a year when synthetic fertilizers are used. Afterward, the grass slowly declines to force you to add even more synthetic fertilizers to achieve the same color of grass you had when you started. ABC’s bio-based fertilizers can add up to an inch of new topsoil per year; giving your plants a healthy environment to flourish within! Although you may not get the massive top growth associated with Synthetic fertilizers, ABC’s Green Landscape program will give you a steady green color year-round; without forcing you to have to scalp your lawn, and trim your plants weekly. As a customer of ABC, we know you are not only concerned about having a green lawn and healthy plants. We know you also want the products applied to your property to be safe for the environment; while still protecting your investment! Both your turf and landscape plants will receive the nutrients they need to thrive while ABC re-builds the soil. ABC’s Green Lawn Service is specially designed for customers that like to work in the yard, and are home throughout the year. Our Green Lawn service is performed every seven weeks and includes control for mole crickets, chinch bugs, army and sod webworms, and fire ants. ABC’s Bio-Enhanced fertilizers and a micronutrient package are always included. We also include Fungicides for foliar disease control! Let ABC’s trained professional’s service your lawn today! ABC understands the importance of a well-maintained lawn through education and experience; we are the best Lawn and Pest Management Company in the Tampa Bay Area! We have over 30+ years of experience! If you notice any problem in-between services, then call ABC and we will be happy to retreat problem areas. Call Today for a FREE estimate to protect your home. ABC normally answers all website inquires received after office hours Monday through Friday by the next morning. Inquiries taken on the weekend will be answered the next business day (Monday). Our office hours are M-F 8-4 pm. 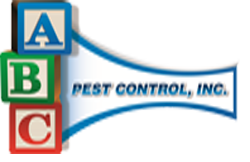 Thank you for reaching out to ABC Pest Control. We offer FREE no obligation Estimates, Pest Inspections, Termite Inspections, and Consultations to residential homeowners and commercial business owners throughout the Tampa Bay area. Call Toll Free today 1(877) 888-7378 or click the link below.